1. Bring Plenty of Water! It is very important to stay hydrated while hiking in high altitude. When you think you brought enough water, bring more! 2. Wear Layers & Bring Rain Gear. Weather can change rapidly in the mountains and temperatures can fluctuate in varying elevations. Wearing layers provides the best bet for staying comfortable while hiking and avoid fabrics made of cotton which can soak up moisture, meaning your clothes will get damp and cause unpleasant repercussions! 3. Hike with a Buddy. Find a friend to hike with and don&apos;t separate along the trail. From rolled ankles to serious injury, having a buddy there can save your life. If you have to head out solo, be sure to tell someone where you are going and what time you plan to return. 4. Leave Early. It is best to leave early for any elevation hike to beat out the afternoon thunderstorms which can produce dangerous lightning. 5. Pay Attention to Weather Reports. We are serious when we say that weather changes rapidly in the mountains. Be informed about what the weather forecast for the day will be and be prepared for it to deviate. 6. Pack Wisely. Be sure to bring snacks, our Facebook Fans suggested frozen grapes, granola bars or hard boiled eggs for mid-hike snacks. Bring a small first aid kit and a headlamp or flashlight too! 7. Invest in Boots & Socks. Good hiking boots are essential to a pleasant and safe hiking experience. Check out the Outfitters in Estes Park for a new pair of boots. Wool socks will help prevent blisters and keep feet dry. 8. Mind the Rules. 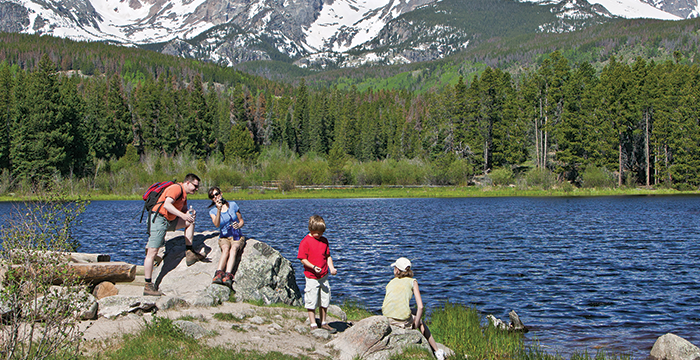 Respect the wildlife and natural environment while hiking. Stay on the trail, don&apos;t feed the animals and follow the rule of "leave only footprints, take only pictures." The tundra above tree line is especially fragile, so tread lightly! 9. Go Slow & Steady. Take the trail at a comfortable pace to avoid fatigue. Don&apos;t be ashamed to take breaks, they allow you to hydrate, fuel up and enjoy the scenery! 10. Enjoy the Hike! Be sure to soak in the experience and the natural beauty that surrounds you! So get geared up, bring your camera and enjoy the hike! 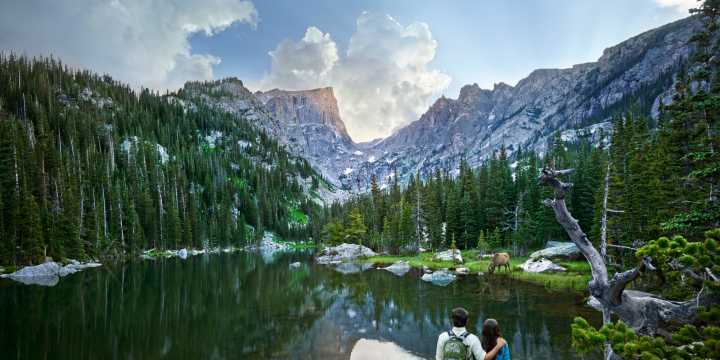 Before heading out on any hike, check-in with Rocky Mountain National Park&apos;s Official Website for essential park information and trail conditions.